Now that the holidays are over there isn’t much to look forward to between now and the summer months. Sure, there’s Valentine’s Day (welcome back, House of Cards), St. Patrick’s Day (green beer! ), and don’t forget to mark your calendars for March 1st, National Pig Day. But don’t overlook the importance of TAX DAY! Yes, we all groan when the dreaded ‘T’ word gets brought up. Nobody likes taxes except when Uncle Sam is sending you a check – and even then taxes only become tolerable. 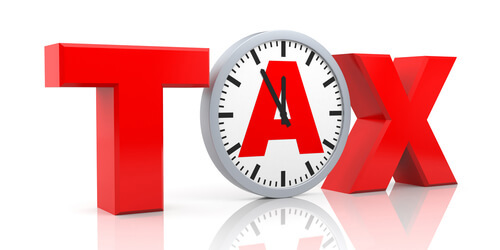 Tax time is a very busy time of year for bankruptcy attorneys. Prospective clients may need to wait to file their bankruptcy case until they have completed their tax returns. Some folks need their tax refund money in order to file. This is the time of year where we, as attorneys, must do our very best to ensure you are guided through the bankruptcy process thoughtfully and carefully. Our work in January and February often leads to a large number of case filings in March and April every year. Filing bankruptcy costs the average debtor around $1,500.00 for a Chapter 7 – this was the national average as reported in 2012. If you are already strapped for cash, $1,500.00 is a LOT of money. If you are expecting a tax refund this Spring, NOW may be the time to contact an attorney before you obtain the money and begin spending it, especially if you are thinking about paying back some debts to relatives If you are struggling with bills or falling behind on payments NOW may be the time to call our office to speak with an attorney about what options you may have. Individuals and couples often put off considering bankruptcy until the pressure and stress that debt causes absolutely blows the situation out of control. Garnishments, repossessions, and bank levies are just a few tactics creditors can use to cause that pressure. Before you risk delinquency, lawsuits, and possibly losing your tax refund to creditors, contact us for a free consultation.